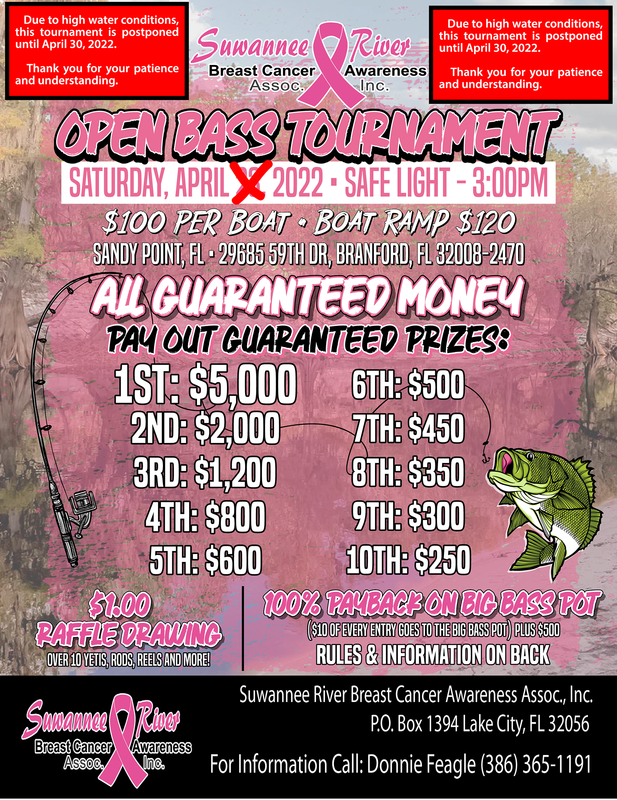 Information About The Bass Tournament Below! and parties associated with this tournament from liability and/or personal loss, which may occur. 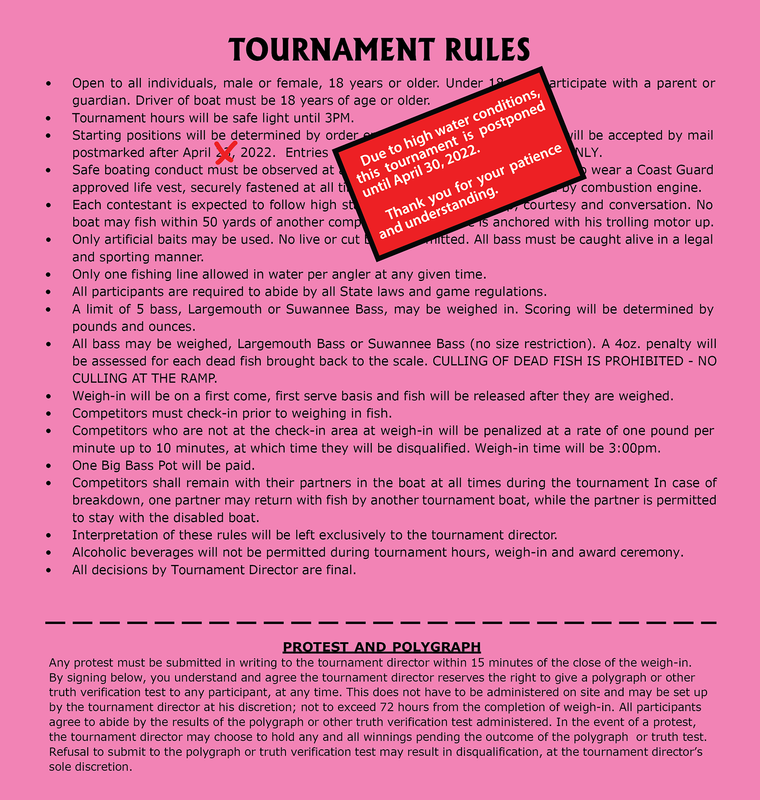 required on a W9 form prior to winners receiving their tournament payout check. We DO NOT sell, trade, or use your email information for any purpose other than to handle this specific request. You WILL NEVER receive any spam, junk mail or other form of communication from us unless you request it.